Set accurate, repeatable timing signals for your press. The Wintriss ProCamPAC programmable cam switch makes it easy to set accurate, repeatable timing signals for your press. 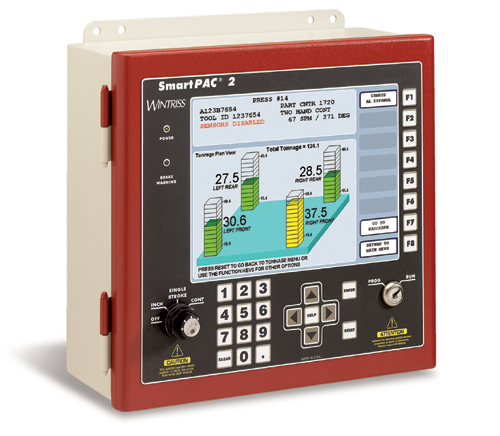 The settings are stored in the SmartPAC 2's tool number memory, and can be quickly recalled to save time during each die change. Channels can be turned on with the DSV, and turned off a preset time after the press stops for controlling equipment like conveyors that only need to run while the press is running.